SUPERAntiSpyware is the best spyware removal tool available in the market. It can detect and remove Spyware, Adware, Malware, Trojans, Dialers, Worms, KeyLoggers, HiJackers and many other types of threats. It won’t slow down your PC like other anti-spyware softwares. Spyware Terminator is also good option for home users. Spyware Terminator will scan your system for threats and it will rate and give classification to every entry so that you can easily decide which item to be removed. It also comes with free automatic updates. You can also schedule the scans. Ad-Aware keep you safe from password stealers, keyloggers, spyware, trojans and other potential identity thieves. It comes with Enhanced Rootkit Removal System in order to find and remove hidden threats. It also comes with free updates. 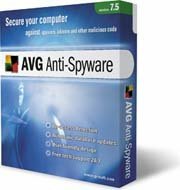 AVG Anti-Spyware is also available free of cost for home users. It provides protection against latest threats like Trans, Keyloggers, Spyware, Hijackers, Worms etc. It scans and clean windows registry. It can also scan inside archives. HijackThis is a free utility from Trend Micro Incorporated which is designed to scan your system to find settings which may have been changed by spyware, malware or other malware programs. Do you recommend installing more than one software program? You should install only one spyware program at a time. I like your format, the fact that your webpage is definitely a tad bit unique makes it so helpful, I get completely fed up of viewing the same stuff nearly all the time. I’ve I simply came across this site by you Thanks a lot.